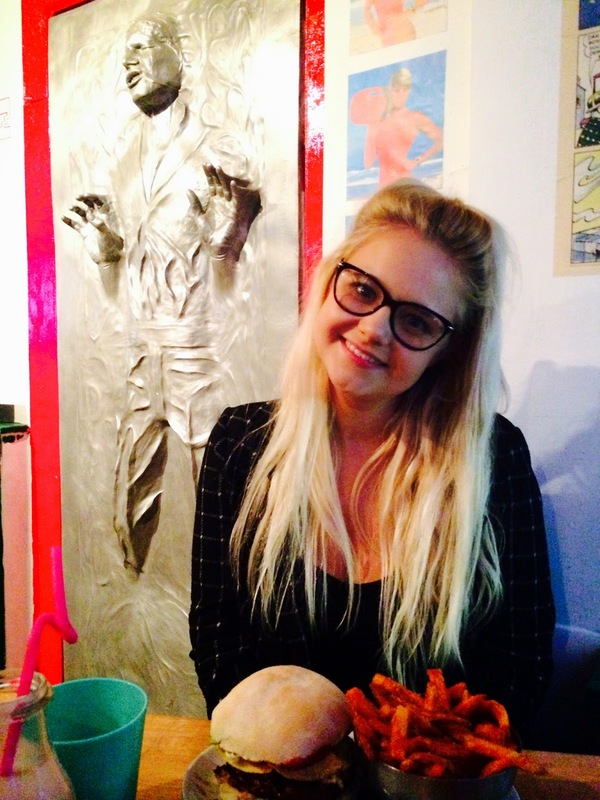 Hobbits & Hairdye: Oxford Eats | Atomic Pizza. 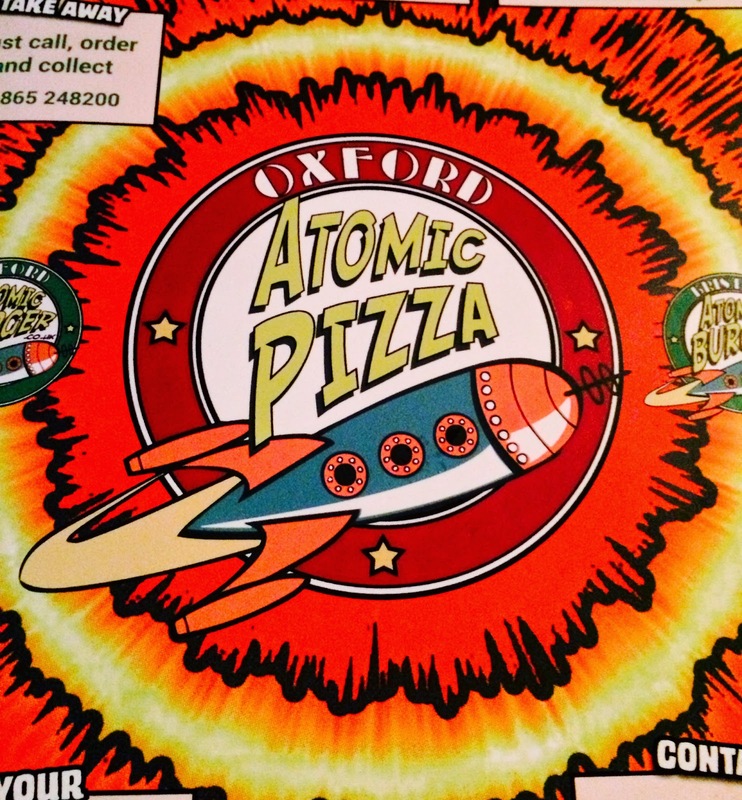 Oxford Eats | Atomic Pizza. I live about half an hour outside Oxford and as its my nearest city I always feel like I should explore it more, one of my favourite things to do is find places to eat that I've never been to before…because eatings one of my my most favourite things. 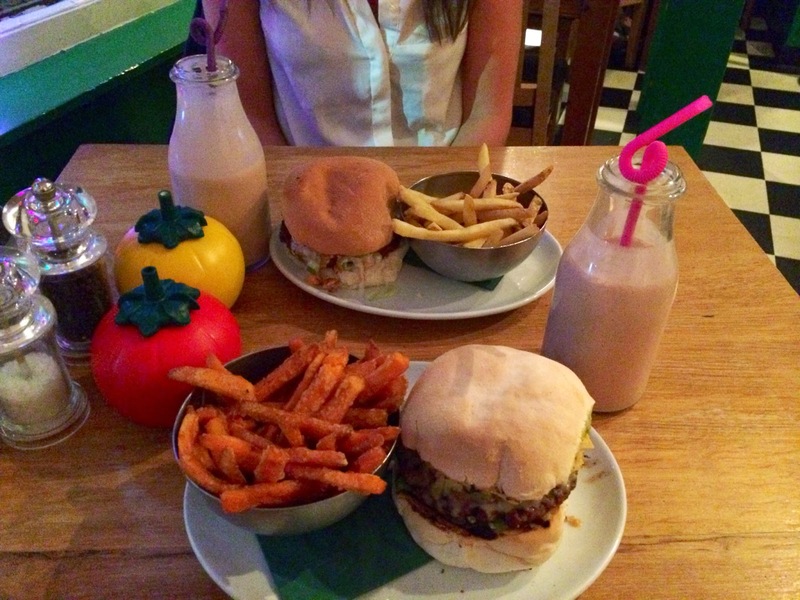 The other night me and my best friend decided to go to Atomic Pizza on the Cowley road, she had previously been to both Atomic Pizza and its counterpart Atomic Burger and knew they would both be right up my street. 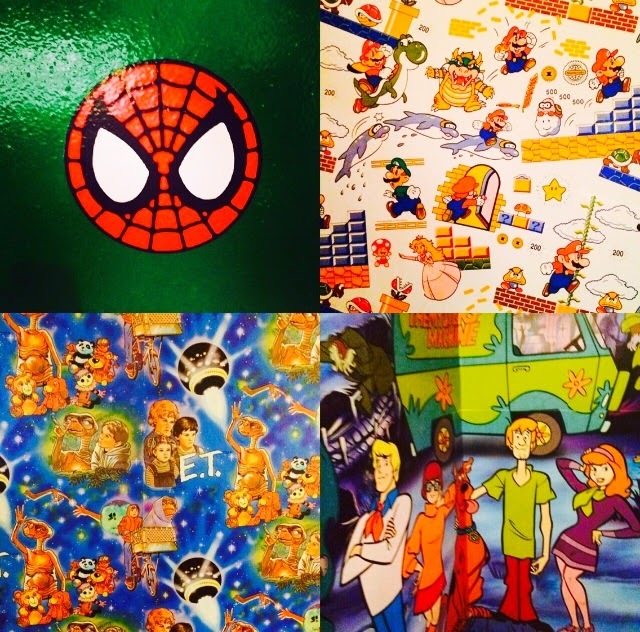 If you love all things retro, geeky, sci-fi, superheroes, 80's & 90's then you will absolutely adore this place, the decor alone is an attraction without even mentioning the food, unfortunately I couldn't get enough photos to do it justice but I hope you get the idea. 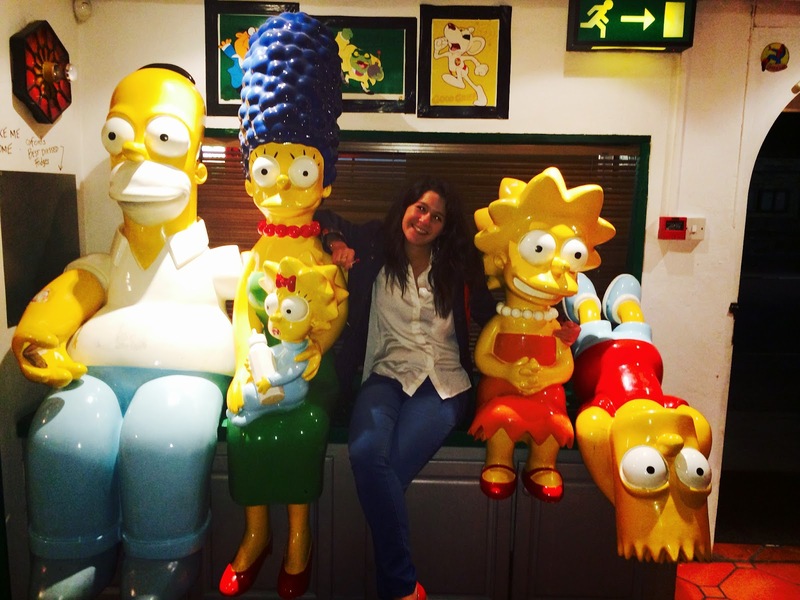 The atmosphere is absolutely incredible, and the staff were absolutely lovely. The attention to detail is absolutely on point, even the menus were a work of art. The food choice was insane, both Atomic Pizza & Atomic burger do the same selection of burgers but obviously Atomic Pizza also has a pizza menu too. As we were in somewhere that just oozed american diner feel I had to go for a burger. I chose the Frito Bandito which had nachos, cheese and guacamole in it, accompanied by sweet potato fries which were absolutely incredible, I'd almost go as far too say my favourite sweet potato fries ever. My friend Anna went for the L.L.A.P (Live Long and Prosper) which was absolutely delicious also but very very spicy, not one for the faint hearted, at one point I thought I'd have to take her outside for some fresh air. We both went for a classic chocolate milkshake to wash it all down which was absolutely phenomenal, made even better by the fact that they were served in milk bottles. I absolutely loved it there, I would highly recommend it to anyone and I myself can't wait to go back to sample more of the menu! 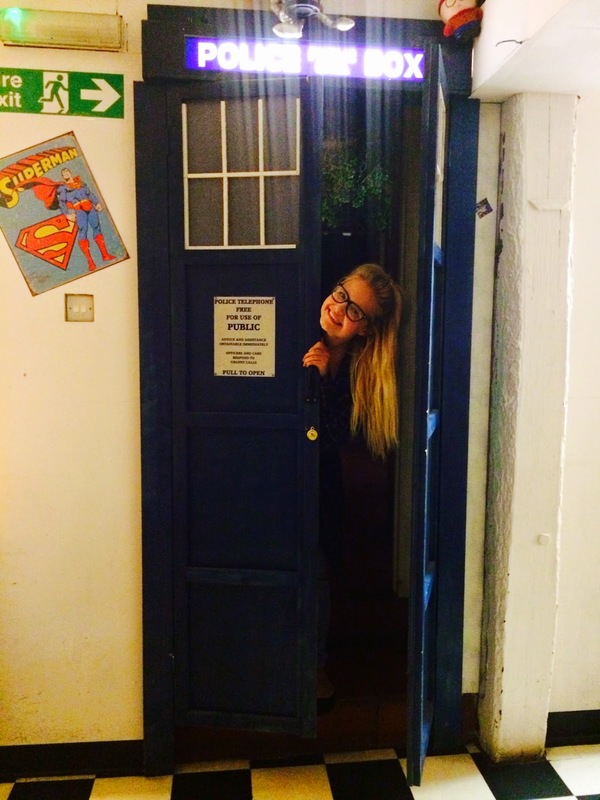 The cats out of the bag -- I am Doctor Who. 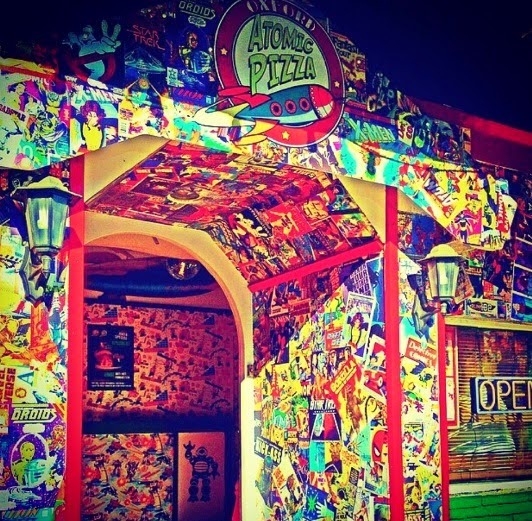 What are your thoughts on this quirky restaurant?